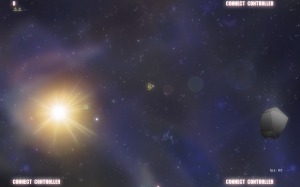 Here is a video test of some of the basic game play. 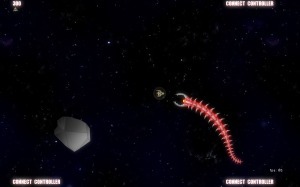 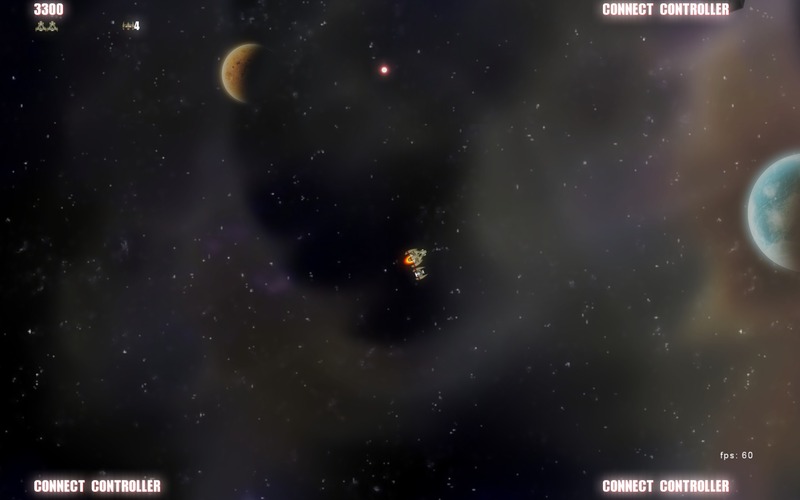 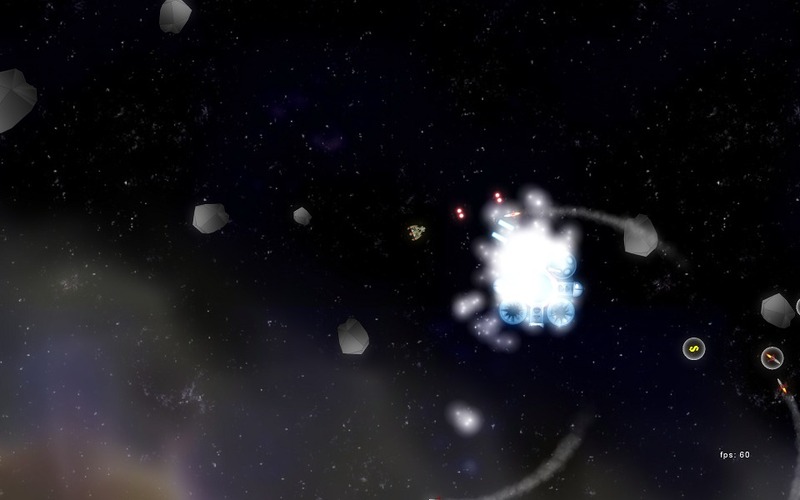 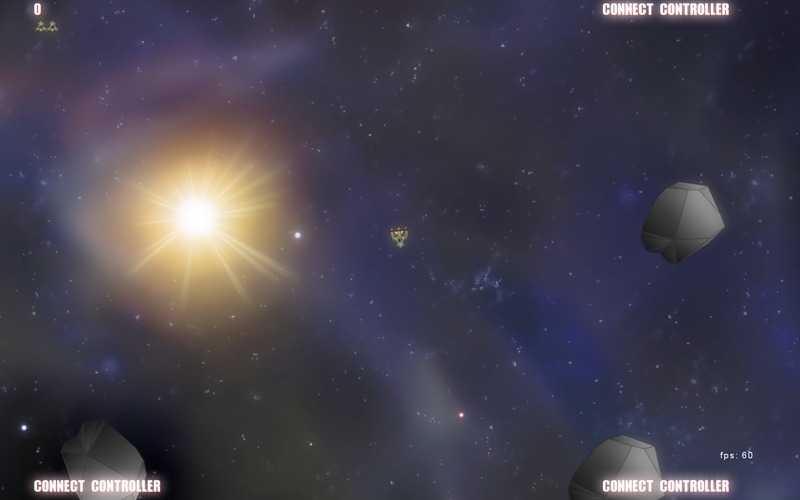 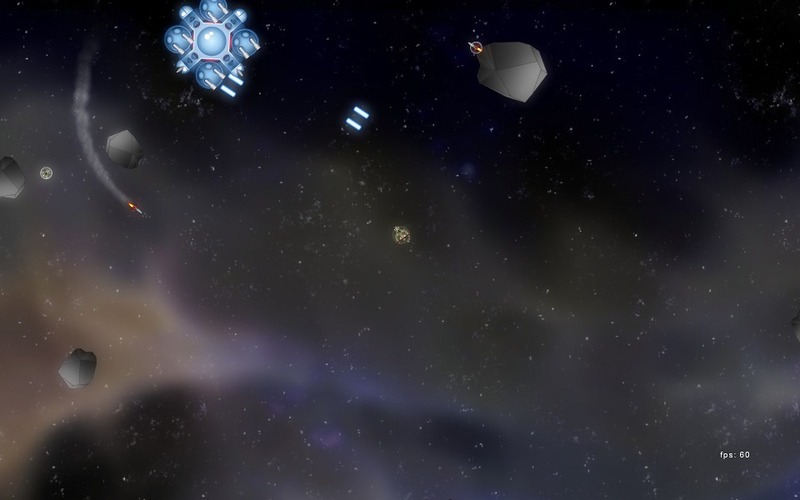 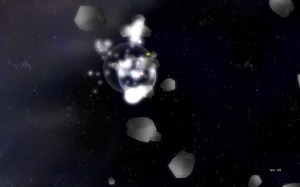 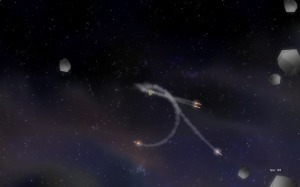 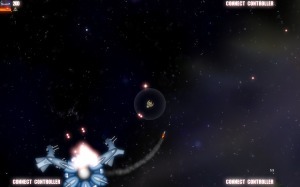 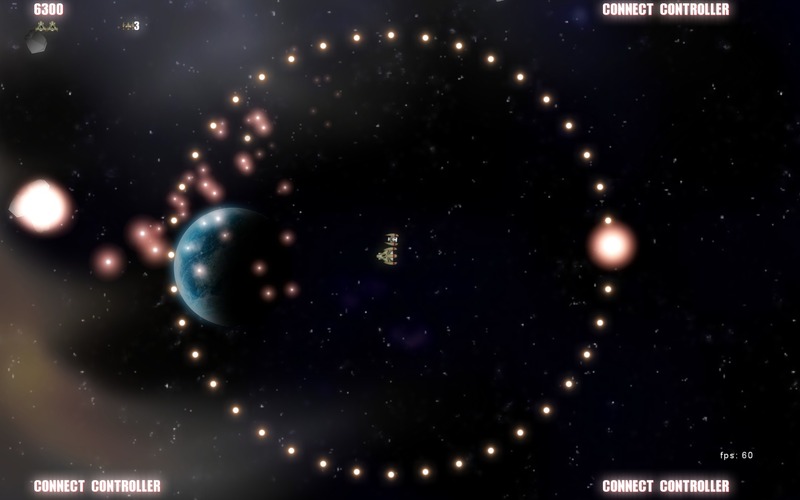 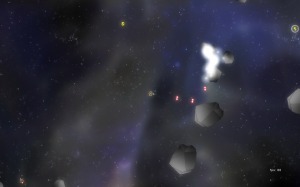 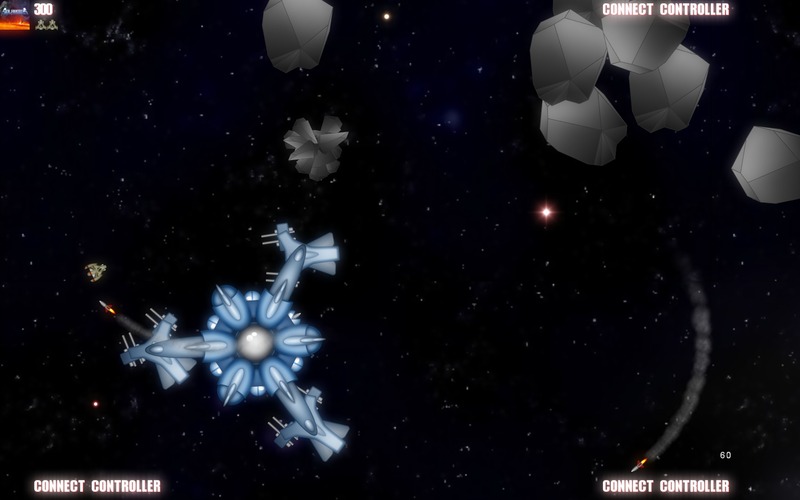 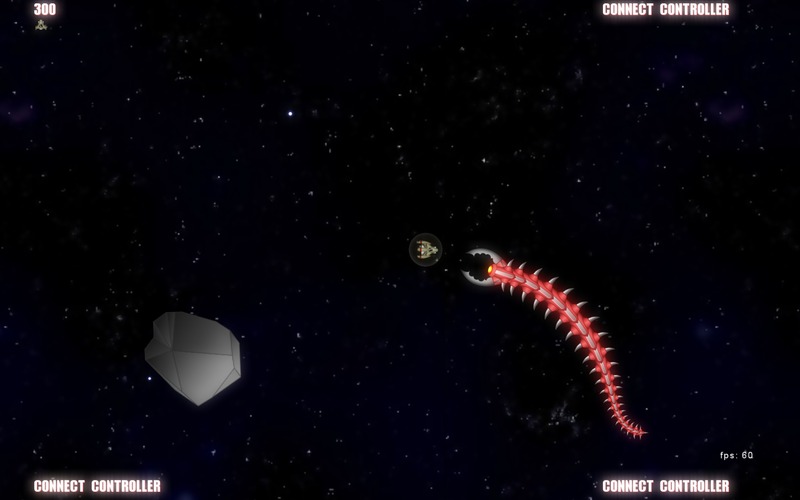 Small ship spawns within the game world… asteroids approach… destruction ensues. 720p clips are also available at the Solaroids youtube site. Here are some screen shots from the current game. I currently have the player information hidden as I work through some garbage collection issues on the 360. 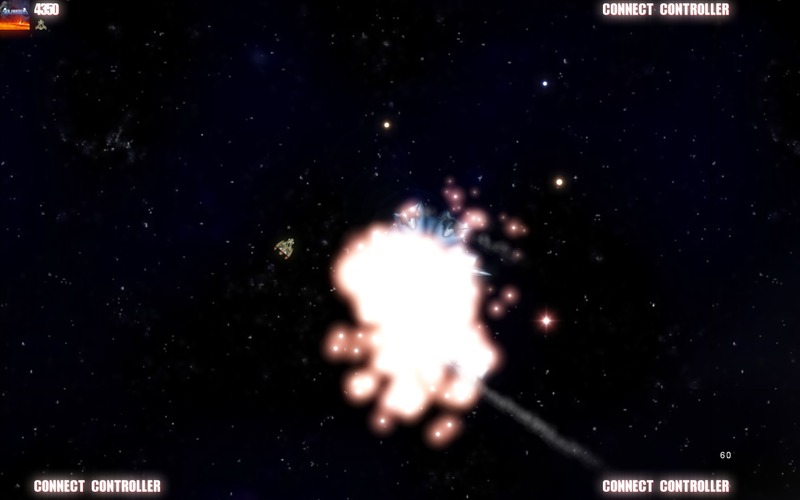 Just some basic destroy the asteroid style gameplay. 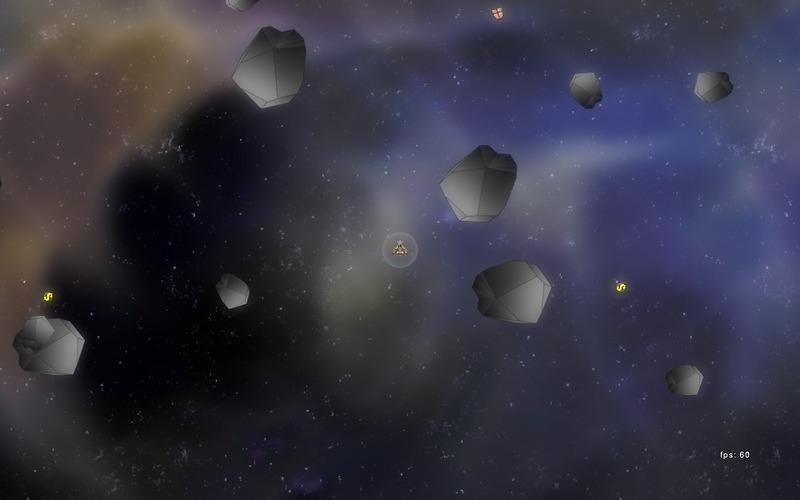 Welcome to the Solaroids blog. 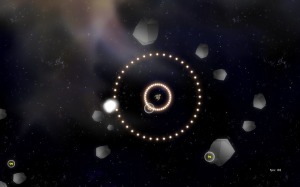 Solaroids© is the title of my XBox Live community game currently in development. 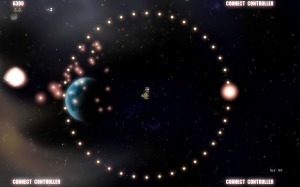 It is written in C# and uses the Microsoft XNA platform which allows it to run both on Windows and on the XBox 360. It could be said that it is an Asteroids© clone, and therefore also a Stardust© or Maelstrom© clone, but as I’ve only ever played the Atari’s Asteroids, any similarities to the later are merely coincidence. Solaroids is Asteroids as I always envisioned it could be. 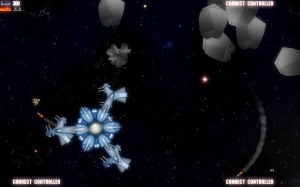 The concept was born in the early 1990’s when I was creating video game software on the Commodore Amiga line of personal computers. This blog will track the ongoing development of both the game and the engine as well as various tutorials as I have time to create them.